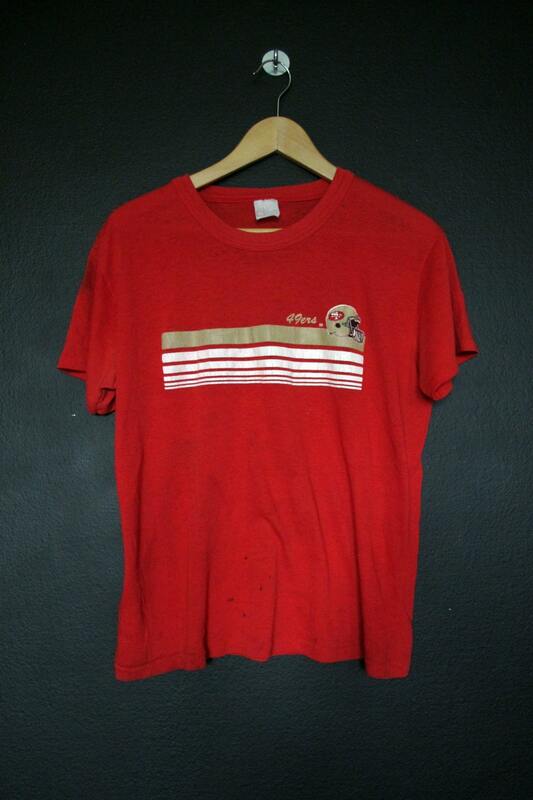 San Francisco 49ers NFL 1980's vintage Tshirt, size Youth XL. Please see measurements. Back of collar to bottom hem: 23.5"
This shirt is in great vintage condition with some fading throughout and minimal cracking on the graphic. We do our best to describe all items. 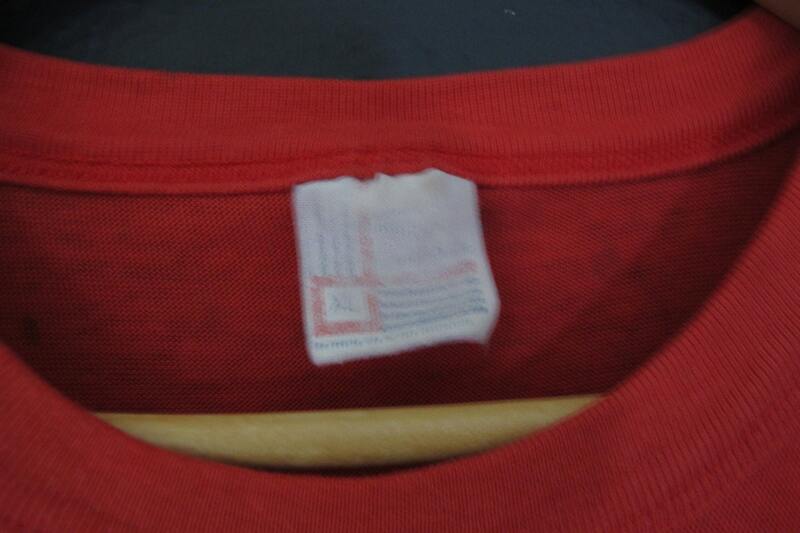 All shirts are sold in As-Is condition. Please keep in mind that this is a used vintage shirt so there will be age appropriate wear. Feel free to contact us if you have any questions! USPS does provide a tracking number so once the package is shipped, please understand that we cannot be held responsible for damaged items, stolen packages or packages marked as delivered but not received. We are based out of Oakland, California in the USA, so please be aware that orders shipped out of the country may be subject to taxes and duties charged by your country. We cannot be held responsible for those charges. This is not our full time job but we do our best to ship everything out in a timely manner! No returns/No refunds. All shirts are sold in As-Is condition. Please keep in mind that you are buying a used vintage shirt so there will be age appropriate wear, as described in the listing.